For decades it seemed like those were the Three Stooges directing the fortunes of the Kentucky football Wildcats on virtually every Saturday in the fall. Sure, there were some scheduled tomato cans to push over, but all too often one of the three would show up for a big game and send UK fans to the corner pub to shed another shower of tears into their favorite post-game brew. 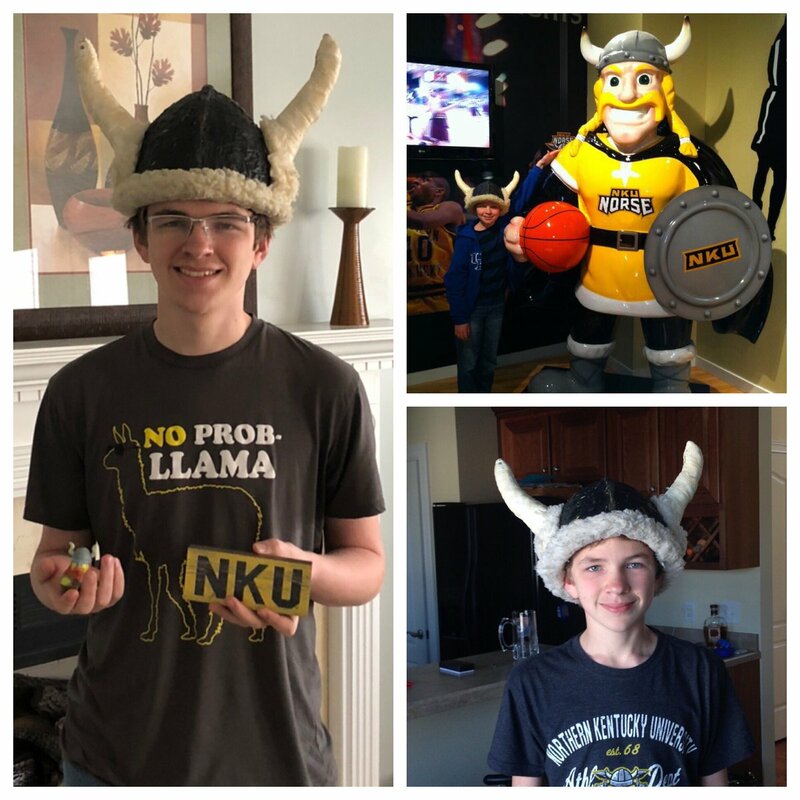 And even though the Wildcats hung up seven wins last season, those three Unfortunates periodically showed up again at Kroger Field (they weren’t confused by the new name on the stadium; they had the trip here memorized). Kentucky should have beaten Florida, a team that knows how to take advantage of uncovered receivers in the red zone; could have beaten Mississippi if the Cats had made just one more play on defense; and would have beaten Northwestern if a certain referee hadn’t ejected a certain All-SEC tailback. That’s all history, of course, a rare season that might have ended in 10 wins for the first time since 1977. The question now is: How many this year? Will Mark Stoops’ team win the games it’s supposed to win and pull some upsets along the way, carrying the Big Blue Nation to a bowl game outside the state of Tennessee? CENTRAL MICHIGAN – a team that’s more dangerous than some might think, from a conference that has sent teams into Lexington and either won or pushed the Wildcats to the final minutes. In the oppressive heat and humidity, Kentucky will wear down the Chippewas (W). FLORIDA – The Cats were better than the Gators last year. Even with the bone-headed plays on defense, it took a questionable holding call to knock Kentucky out of game-winning field goal range. Otherwise, Mitch Barnhart might have been forced to (happily) write a check to the SEC for excessive celebration. It would have been money well spent on a streak that’s embarrassingly long. It says here, the Wildcats will snap it in Gainesville, where they were robbed four years ago (W). MURRAY STATE – The Ohio Valley Conference twice has sent Eastern Kentucky into Lexington to throw a scare into their I-75 neighbors. This Racers team isn’t talented enough to pull an upset (W). MISSISSIPPI STATE – The Bulldogs have a new head coach, Joe Moorhead, a no-nonsense type who last was the offensive coordinator at Penn State. Whether he finds the same success as Dan Mullen will be a challenge, but at least he inherits star quarterback Nick Fitzgerald (who’s been suspended for the season opener – told you Moorhead was no-nonsense). Kentucky struggles with dual-threat QBs (L). SOUTH CAROLINA – Stoops’ UK teams have owned the Gamecocks, beating them four straight times, including twice on the road. Fans danced on the field after a victory four years ago as Stoops watched with a smile. It says here, SC gets its revenge this season (L). TEXAS A&M – Aggie football has a place in UK history only because College Station is where Bryant landed when he left Lexington after the 1953 season. A year later he was in Tuscaloosa, where greatness happened. Jimbo Fisher is the new head coach in Aggieland and he ain’t no Bear, but it’s a tough place for the visiting team to win (L). VANDERBILT – The Kentucky-Vandy series is as close a rivalry as it gets in SEC football (Cats lead the Commodores, 44-42-4). The Wildcats dominated the ‘Dores last season in Nashville and should handle them again on Homecoming Saturday (W). MISSOURI – The Tigers were circling the drain when the Cats beat them last year, although Mizzou three times wiped out a double-digit deficit and drove to the UK 28 before the final horn sounded. After that loss, Missouri caught fired and finished in a bowl game. Strong-armed QB Drew Lock is back and Columbia may not be so inviting (L). GEORGIA – The Bulldogs lost some talent from last year’s team, which made a run at a championship. But the talent never seems to dry up in Athen these days. It’ll be a tough time between the hedges for the Wildcats (L). TENNESSEE – The Volunteers are under new management. Kentucky’s victory over the Orange last season likely was the last straw for Butch Jones (who, by the way, is an “analyst” on the Alabama staff. He might learn a little bit). Jones never took full advantage of his strong recruiting classes at UT; his successor, Jeremy Pruitt, just might. But it says here the Wildcats get their first victory in Knoxville since 1984 (W). MIDDLE TENNESSEE – It was way back in 2008 but the mind’s eye still sees Middle Tennessee down 20-14 on the final play of the game, receiver Eldred King hauling in a 61-yard pass, only to be tackled by the ankles at the UK one-yard line. It saved Kentucky from an embarrassing home field upset. This one shouldn’t be as close (W). LOUISVILLE – This just might be a true toss-up, with both teams playing for credibility and bowl slots. The Cardinals waxed the Wildcats last year at Kroger Field. It says here, revenge – and Touchdown Terry – will be deciding factors on this day (W). That’s it – lucky number seven wins for the third consecutive season. But the Big Blue Nation will be happier with this season’s effort because this team will win whichever bowl game extends an invitation. And, oh yes — if you’ll look back at this proposed worksheet, you’ll see wins over Florida, Tennessee and Louisville (all three on the road, mind you). Coulda, Woulda and Shoulda might show up again but wins over three arch-rivals will make it easier to take.